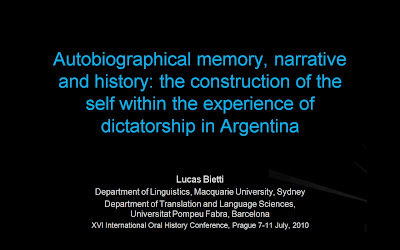 The purpose of this paper is to explore the ways in which the self, embedded in the experience of the dictatorship in Argentina (1976-1983), is cognitively and discursively constructed in real world settings. For the analysis I have selected a life story which is divided into three time frames (going into exile, life in the exile; and positive consequences in democratic times). These three stages in a subject’s life-span not only show the ways in which the military dictatorship affected an individual’s life course but also how life continuity is even under such traumatic conditions self referential, autonomous and path-dependent. The self-representation as someone who was or was not aware of the disappearance of people implies a specific self-positioning in relation to the events, actions and actors involved in the dictatorship. Self-narratives based on autobiographical experiences from the period of dictatorship must be thought of as fertile grounds to explore how the self as a knower or not knower is constructed. Autobiographical narratives are largely shaped by narrative schemata which play a part in the creation of coherent and consistent shareable life stories. 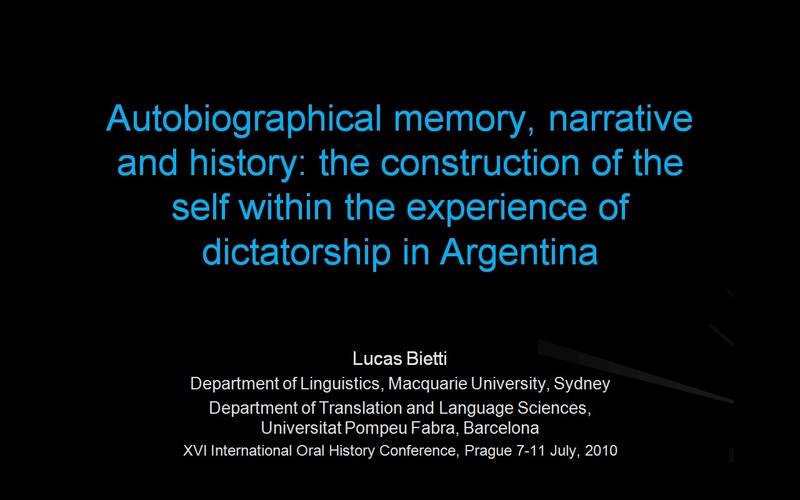 In the case of the military dictatorship in Argentina, narrative schemata have been functioning to create social representations. These schemata are not only about the social actors, actions and goals, etc. that were involved in the period but also about the positioning of the self in the present before such traumatic events.